…well, everything except the liver and maybe the cauliflower. A nd how did meals at home shape your life? There’s nothing like good food to give you that very special feeling of comfort in certain situations. Especially when someone, who loves us, cooks it for us. We already make these experiences, if all goes well, as a child at home. Far from all kinds of mother’s nutrition rules or global principal theories about food children have their own ideas about what tastes good. Every child has its one favorite meal – or two or maybe even three. And even when we visit our parents as adults, it’s that special meal that we want them to cook for us. If that wish is granted, everything is fine. Sometimes mother will also cook that favorite meal even though we’ve told her a hundred times before that that used to be our favorite as a kid – and that in the meantime we’ve become 30 years older. But this objection doesn’t help against mothers who want to do something good for us: “But you used to LOVE that in the past!” Once the grown-up son or the married daughter trespasses the threshold of their parent’s home, mother goes through an inner journey through time in a flash. And everything is as it was in the past. The child needs to be spoiled and mother knows how that’s done. By pointing out: “Mom, I don’t eat pork chops anymore. I became a vegetarian 20 years ago.” are not heard by mother’s deaf ears to the subject. We learn rules for life when we eat. Without realizing it, daily meals during childhood put across important elements of the particular culture. But also values and life strategies are learned when we eat as a child. What you eat – and what you don’t eat or are not allowed to eat. If you grow up in a strict Jewish family you learn from beginning on which food is kosher and which isn‘t. If you grow-up in China or in an Arabic country you learn different lessons about which animals you can eat and which not in comparison to a German or an American child. Whether you’re allowed to do other things simultaneously. Is eating purely food intake just like when you’re at the gas station filling the tank? Are you allowed to read, watch TV or play Nintendo DS? Or is eating also a possibility of encountering people? Where someone sits and talks with you? Or where everyone’s together to exchange things like the “highest high” and the “lowest low” of the day? How much autonomy is permitted. In my opinion cooking and eating are a complex communicative event that has great impact on relationships. This is what I mean: surely there was food you detested as a child. – We’re you allowed to say so? – And what were the reactions? – Was that accepted or did it end up in a dramatic scene, so that you never said anything ever again. Through such experiences we soon learn whether it’s alright to express our opinion or whether any kind of negative criticism hurts others so much, that we decide not to state what we think anymore. If own bounds were respected. The need for food and the quantity is not steady. Children usually know when they’ve had enough to eat. – Were you allowed to say so and were you respected? It’s food where we find out about lack or abundance. Was it allowed in your family to throw away food? Surely a number of my readers have experienced war situations just like my parents. 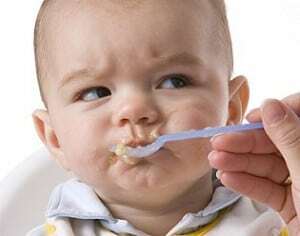 Someone who has experienced hunger will develop a different attitude towards food than children who were born into a world of outsized food supply in the last 30 years. Let’s talk about you now. What was your favorite food or meal as a child? Most kids love noodles, hotdogs, fries and fish sticks. I’m sure there are quite a few other favorites, too though. A special meal your mother of father was a wiz at preparing. Or something only your grandmother would whip up. And what do your children prefer eating today? What was your favorite meal und what shaped you concerning food? 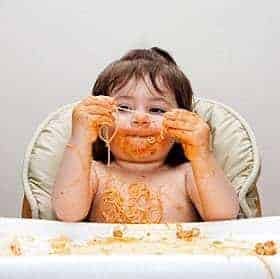 August 13, 2011 – 1:32 pm | By Roland Kopp-Wichmann | Posted in Children | Tagged children, eating, life-rules, values | Comments Off on What was your favorite meal as a child?